Jack is a nationally loved comedian; being hugely successful in anything he touches, including stand-up tours, panel shows, and TV series. As a successful and much sought-after stand up, actor, writer and presenter, Jack Whitehall has firmly established himself as one of the UK’s most exciting and successful new comedy talents. 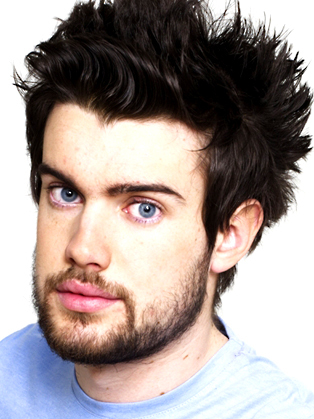 At just twenty-two years old, Jack Whitehall has made a remarkable impact upon the comedy world. In August 2009, he was nominated for the Best Newcomer Award at the Edinburgh Comedy Awards for his debut solo Fringe show, Nearly Rebellious. The show received rave reviews and completely sold out, with an extra date added due to public demand.In July 2010 he performed at the Montreal Just For Laughs Festival as part of the prestigious New Faces line-up and was picked out by Hollywood industry bible Variety as one of their “10 Comics to Watch”. In August 2010 he will return to the Edinburgh Fringe Festival with a brand new stand up show entitled Learning Difficulties. With a host of competition titles and an array of live appearances under his belt, this so-called ‘newcomer’ has guest hosted Never Mind the Buzzcocks and last year co-wrote and hosted TNT Show on Channel 4. In 2009 he hosted Celebrity Big Brother’s Big Mouth for its three week run live on E4. Recent television appearances include You Have Been Watching, Would I Lie to You? , 8 Out of 10 Cats, Mock the Week, The Graham Norton Show as well as A Comedy Roast and Channel 4’s Comedy Gala filmed at the O2. This summer Jack has been filming the exciting new C4 show, Stand Up For The Week, in which he and a clutch of other top comics have been giving their views on events each week and in the autumn Jack will be appearing on Michael McIntyre’s Comedy Roadshow. Jack’s own comedy show Hit the Road Jack was transmitted on Channel 4 on 20th March 2012, a 6 part series that sees him performing stand up in cities across the UK. Each show is packed with celebrity guests, stand up, live music and larger than life local characters. A talented actor, Jack received critical acclaim and a British Comedy Award nomination for his portrayal of former public schoolboy JP in the hit C4 comedy drama Fresh Meat. Jack has started filming for the second series of the show, following the completion of recording the first series of Bad Education, a sitcom written by Jack and starring him as Alfie, the worst teacher ever to grace the British education system. In March 2012, Jack became a regular panellist for Sky 1’s League of Their Own, the new series with the new line-up was transmitted at the end of April through to May 2012. Jack has performed several sell-out solo stand up shows at the Fringe Festival garnering rave reviews from audiences and critics alike. In August 2009, Jack was nominated for the Best Newcomer Award at the Edinburgh Comedy Awards (formerly Perrier) for his debut solo Fringe show, Nearly Rebellious. In 2010 he returned to Edinburgh with a brand new stand up show entitled Learning Difficulties. In 2011, Jack brought two shows to the Fringe, performing his solo stand up show Let’s Not Speak Of This Again at the EICC and, with his father, the chat show Back Chat. Jack recently completed a tour of Let’s Not Speak Of This Again, during which he filmed his first live DVD at the Hammersmith Apollo, set to be released in Autumn 2012.